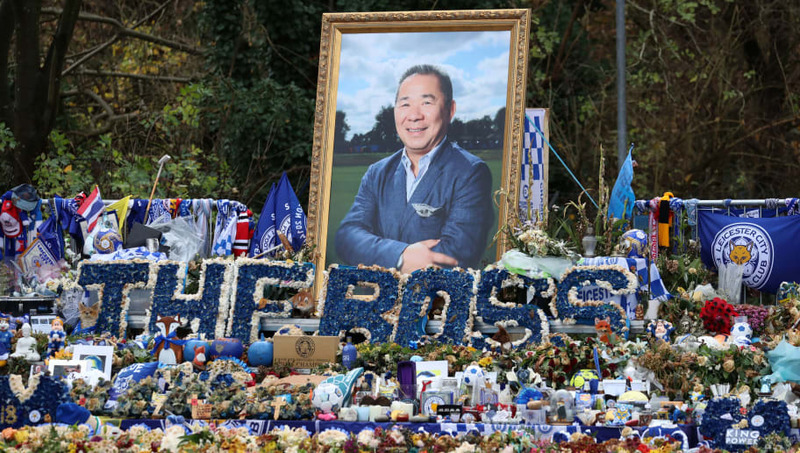 The helicopter crash which took the life of Leicester City owner Vichai Srivaddhanaprabha and four others was a result of mechanisms connected to the tail rotor becoming disconnected, an ongoing investigation has found. The accident took place on 27 October, just hours after Leicester City's match against West Ham. The club's owner Vichai lost his life in the crash, as well as staff members Nusara Suknamai and Kaveporn Punpare, and pilots Eric Swaffer and Izabela Roza Lechowicz. An Air Accident Investigation Branch (AAIB) report learned that cockpit pedals within the helicopter had become disconnected from the tail rotor. This, as per the BBC report, is what caused the aircraft to spin uncontrollably to the right at an altitude of approximately 430ft before crashing just outside the Kind Power Stadium. "The initiating cause and exact sequence of the failure that resulted in the loss of tail rotor control is being investigated as a priority," the AAIB report says. The AAIB's investigation is still ongoing. On Thursday, there was a public memorial for pilots Mr Swaffer and Ms Lechowicz at Guildford Cathedral. Attending the service included Ms Lechowicz sister, Kate, who gave birth just over two weeks ago to a baby boy. "[They were] always there for their family and friends, ready to fly across the globe to be with us or anyone who would need it," Kate said, quoted by the BBC. During Leicester City's most recent home game, travelling Watford supporters unveiled a banner which read: "Thank you for Vichai for allowing us all to dream. Rest in peace." After seeing the message, Leicester's vice chairman Aiywatt (Vichai Son) offered the away end free food and drink as a way of thanking the fans, who were halfway through their 170 mile round trip.